1200.00 sqft. - 4050.00 sqft. 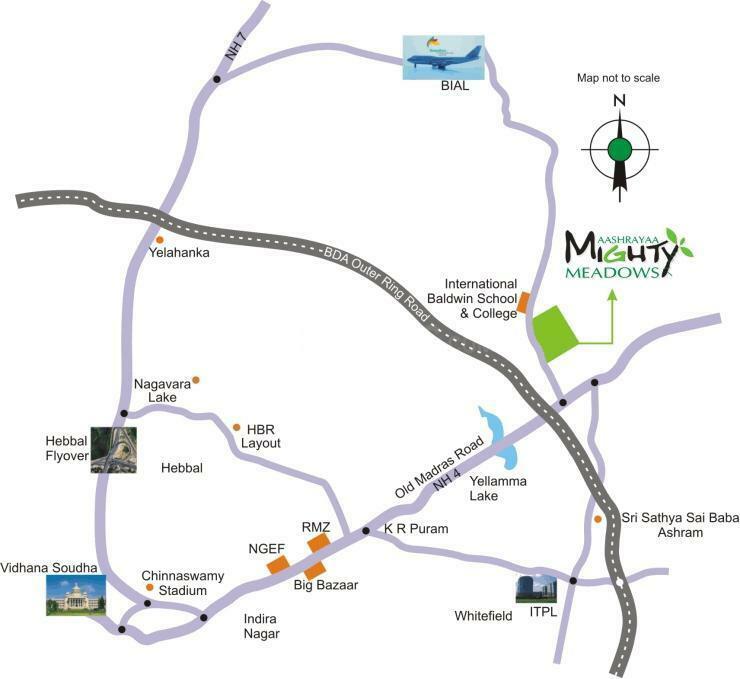 Aashrayaa Mighty Meadows is an upcoming housing project at Bendiganahalli in Bangalore, being developed by Aashrayaa Projects. Keeping in mind the needs of modern lifestyle of residents, the project provides various amenities. Aashrayaa Mighty Meadows encompasses amenities such as Swimming Pool, Gymnasium, Indoor Game Room Billiards/Snooker Table, Carom Board, Table Tennis, Foosball Table and Children's Play Area. ATMS, medical facilities, education institutions, and parks are within easy reach. The area is also well-connected by bus and road network. Aashrayaa Projects set up in Bangalore to take care of the developing demand for quality lodging in the city. Since its inception, the company has worked with values that makes them a reputed name in the industry. With their imaginative, thought-driven and quality centred procedure, the group soon made swells in the Real Estate industry and in Bangalore as well as in the neighbouring city of Hyderabad. With various ventures added to their repertoire, this group is known for building private designs with every modern day amenities, private flats and manors business buildings among others. The company is ISO 9001 :2008 Certified. 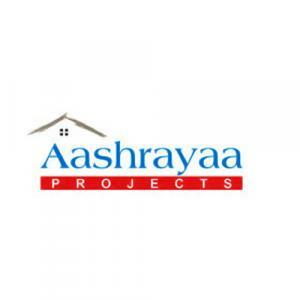 Synonymous with reliability, unrivalled quality, strategic area and conveying its guarantees reliably, Aashrayaa Projects has a firm, steadfast client base that very trusts it.